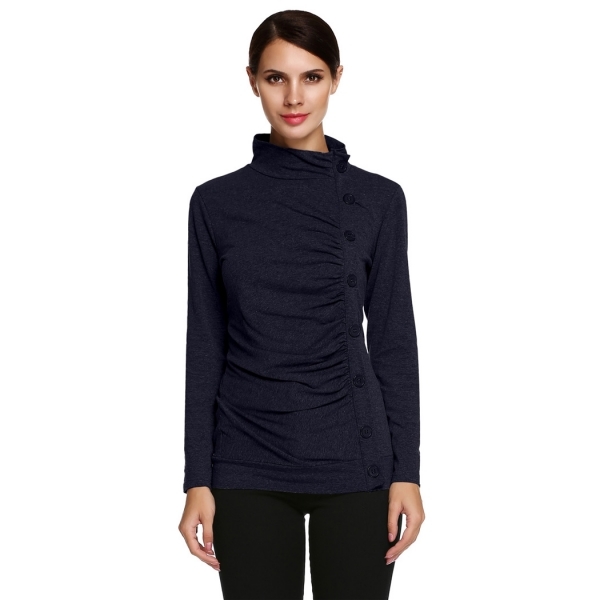 A row of glossy horn buttons advances the long, lean silhouette of this stretch-fit sweater styled with a cozy mock neckline. Gentle ruching prevents clinging around the stomach. Please kindly check the size in the product description area for an accurate size before order from us. thank you.